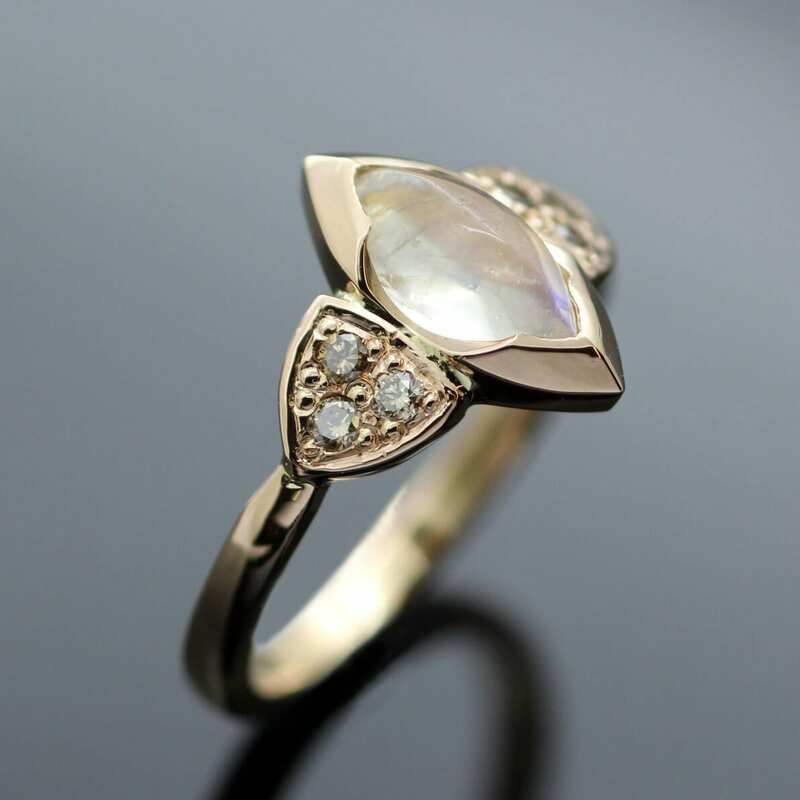 This glorious bespoke engagement ring features a breathtaking design inspired by a unique client looking for a perfect bespoke ring. 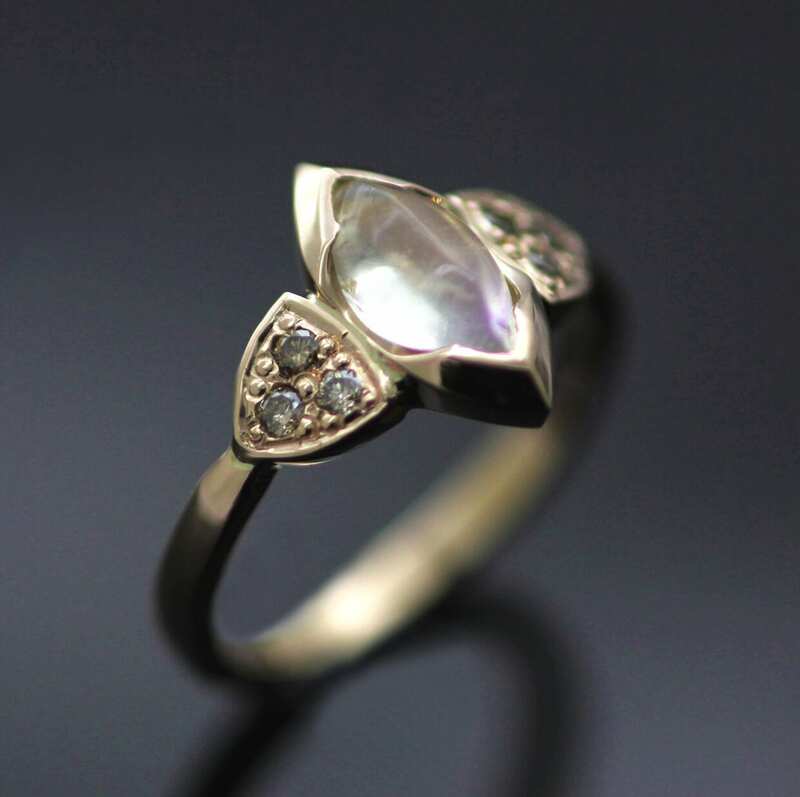 Julian Stephens sourced an exceptional Marquise cut Moonstone for our client to create a magical centrepiece this one of a kind Rose Gold engagement ring. The design which infuses our clients love of Art Deco glamour, the romance and spirit of woodland with a pinch of Gothic decadence is created from solid 18ct Rose Gold. This gorgeous custom made engagement ring is finished with twin shoulders featuring a trio of pave set Champagne diamonds for an extra dash of opulent sparkle. This glorious bespoke engagement ring is then finished with an expert hand polish to enhance the rich lustre of the Rose Gold and proudly bears Julian Stephens exclusive makers mark, alongside Hallmarks to indicate its superior construction and materials used to create it.